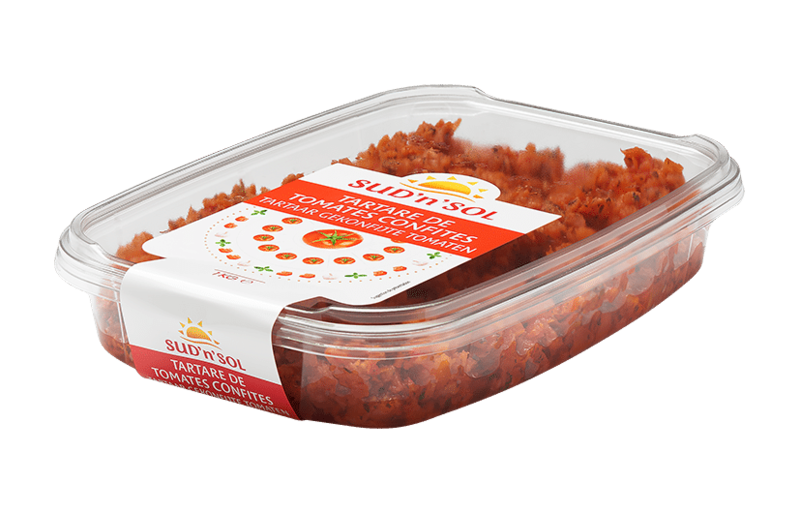 The Sud'n'Sol tartars are delicious pieces of tomatoes or peppers grilled with Mediterranean flavors. Prepared from fresh vegetables cut into pieces, grilled and mixed with oils and herbs steeped in Mediterranean flavors, they will brighten your dishes. Sud'n'Sol tartars are preservative free. Vegetables are kept in rapeseed oil, which allows 100% natural conservation while preserving the flavors of the vegetables. Gluten and preservative free product. Tomatoes, zucchini, peppers and aubergines are kept in rapeseed oil, which allows conservation 100% natural product while preserving the flavors of vegatables. 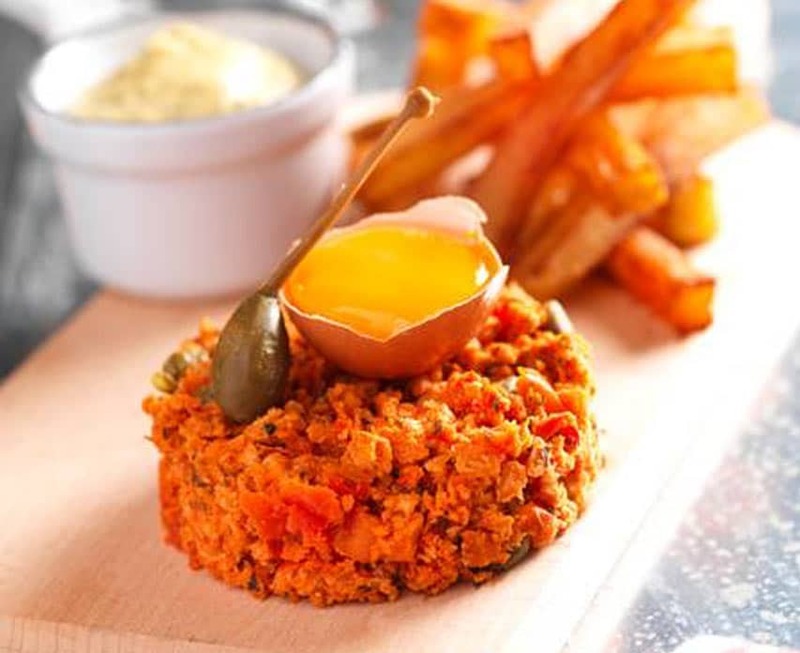 Vegetable Tartars are delicious pieces of vegetables grilled with Mediterranean flavors. Prepared from fresh tomatoes, zucchini, peppers and aubergines cut into pieces, grilled or semi-dried and mixed with oils and herbs steeped in Mediterranean flavors, they will brighten your dishes. Semi-dried tomatoes (76%), tomato paste, rapeseed oil, sunflower oil, olive oil flavored with basil (olive oil, basil flavor), salt, concentrated lemon juice, parsley, chives. Sud'n'Sol pieces of peppers guaranteed preservative. Peppers are kept in rapeseed oil, which allows conservation 100% natural product while preserving the flavors of the peppers. The Sud’n’Sol peppers tartars are delicious pieces of peppers grilled with Mediterranean flavors. Prepared from fresh peppers cut into pieces, grilled and mixed with oils and herbs steeped in Mediterranean flavors, they will brighten all your dishes. Tomato tartare are delicious pieces of tomatoes grilled with Mediterranean flavors. Prepared from fresh tomatoes cut into pieces, semi-dried and mixed with oils and herbs steeped in Mediterranean flavors, they will brighten your dishes.